Planning a weekend getaway to wine country is not just about which wineries to visit. Trips to Napa and Sonoma center around where to eat. Santa Ynez Valley in Santa Barbara Wine Country is no exception. Consisting of six small communities (Solvang, Los Olivos, Santa Ynez, Buellton, Los Alamos and Ballard), no matter where you are, there is somewhere great to eat! The town of Solvang is known for its Danish décor and aebelskivers but offers so much more. We put in the hard work finding the best Solvang restaurants for you. 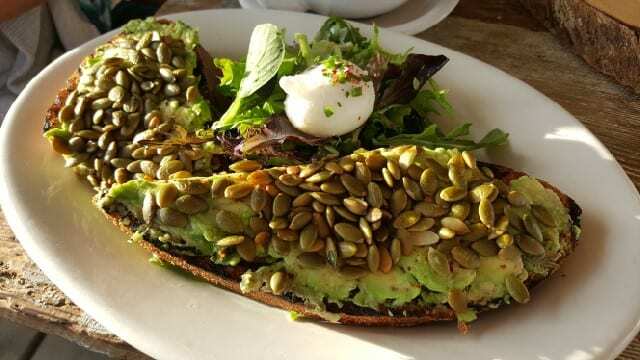 Whether you are looking for a gourmet dinner after a long day of wine tasting or need a quick jolt of caffeine to get the day started, Solvang’s restaurants have you covered. There is something for everyone at this Solvang coffee shop. 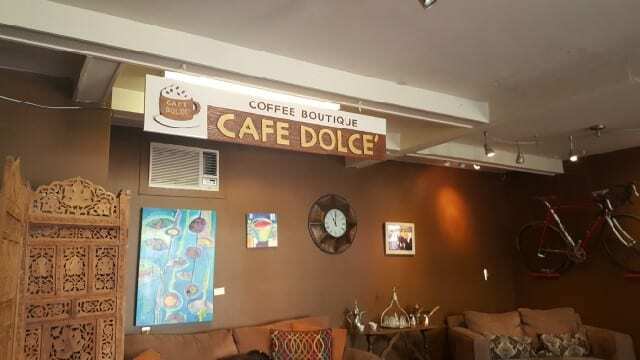 Café Dolce features a robust coffee and tea menu which includes Italian espresso, Turkish coffee, iced coffee drinks and more. Owner Sam, who is usually found behind the counter, spent some years living in Italy and can make a mean cappuccino. The espresso is weighed and tempered to an exact amount so that the espresso is perfecto. Fresh smoothies, protein shakes, and organic juices are available, as are acai bowls. And for the afternoon pick-up, enjoy house-make gelato or sorbet. Having expanded through the next-door space, Café Dolce offers coffee house seating as well as outside seating on a park bench. Located across the small park from Café Dolce is Cecco Ristorante serving rustic Italian cuisine. Cecco’s has been open for more than a decade and is a hidden gem in Solvang. Owner and chef David Cecchini got his start in Southern California in his family’s restaurant business. He moved to Santa Barbara where he was the chef at the famous Wine Cask. The atmosphere at this Solvang restaurant is welcoming and the patio seating is in the center of the little park outside. 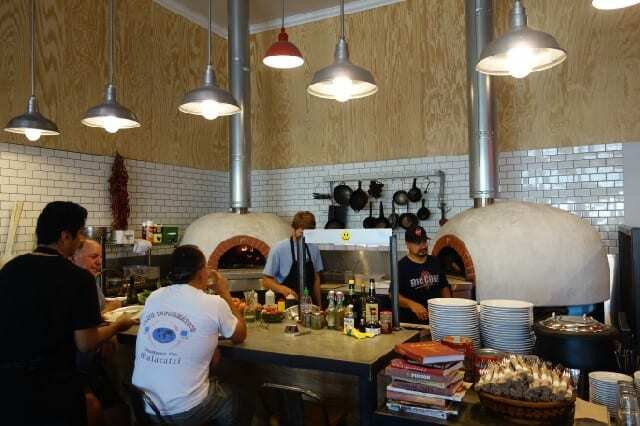 Utilizing local farmer’s market products and other local specialties, the pasta is handmade and the pizza is made in a wood-burning oven that is onsite. 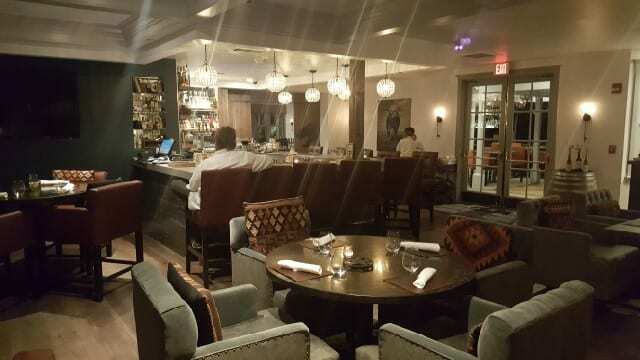 Tucked inside Mirabelle Inn, the romantic 12-room boutique hotel located a couple blocks away from the busy Route 246 road, First & Oak is an intimate restaurant with less than a dozen tables. The service is personalized and friendly. The menu, created by Executive Chef Steven Snook, can be called American eclectic. Chef Snook, who is originally from England, worked for Gordon Ramsey for many years. His style is French technique with fresh, seasonal California ingredients and an international touch. First & Oak offers a tasting menu chosen by the guest. There are three sections – To Begin, From the Ocean & Farm and To Finish. Guests can choose items for a three, four or five-course menu. 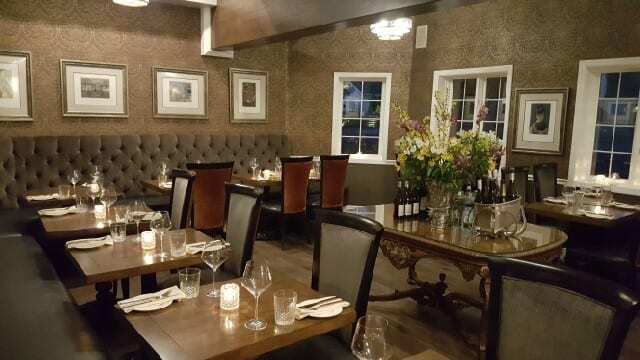 First & Oak is a romantic Solvang restaurant that is perfect for a quiet dinner for two. The town of Los Alamos may only be a couple blocks long but those blocks are filled with places to taste wine and eat. Freshly baked artisanal breads and pastries are on display in the charming little restaurant located in Los Alamos. Even if you are not staying in Los Alamos, the 15-20 minute drive from Solvang, Lompoc or Los Olivos is a must. Owner Bob Oswaks can usually be found at the register taking orders and do not be surprised if there is a long line to order food. Valley locals and visitors alike come to Bob’s Well Bread for breakfast. From fresh pastries to eggs and of course, coffee, every day should start with breakfast at Bob’s Well Bread. Sandwiches are also available for lunch, whether you want to eat on site or take it to go. The historic Los Alamos General Store is home to Pico, a delicious farm-to-table restaurant owned by Will Henry and Kali Kopley. From the outside, the remnants of the old store are visible but inside is a modern space that houses a full bar, a dining room and displays of high-end housewares and sundries for sale. With a Michelin-star résumé, Chef Drew Terp brings refined comfort food to Los Alamos by showcasing local ingredients and supporting local farmers who are committed to sustainable and organic agriculture. The wine list is international in scope with approximately half of the wines from the Santa Barbara region. Be sure to try the Lumen Wines, Will Henry’s project with winemaking legend Lane Tanner. Located just off the 101 Freeway, Buellton may not be the most attractive area in the Santa Ynez Valley but it is between Solvang and Lompoc and therefore inevitable that you pass through it. Located in an industrial park filled with wineries, Industrial Eats has been a popular spot since they opened in 2014. A repurposed warehouse, the open space has long communal tables and two wood fire ovens on display. Offering modern counter service, wood-fired pizza, wine (and beer) on tap, and a deli, the menu is hand-written on large sheets of brown butcher paper hanging on the wall. Industrial Eats has relationships with many of the ranchers, growers, fishermen, and foragers in the area and that is reflected in the selection and quality of the food. 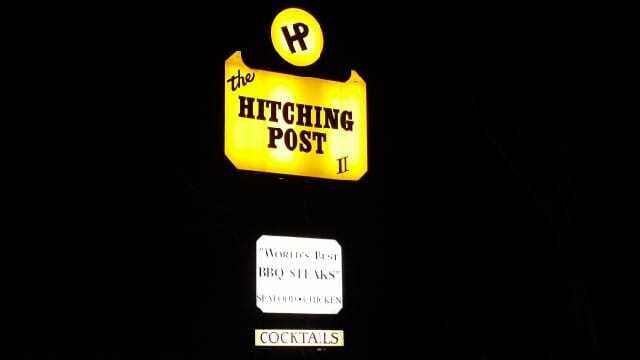 Made famous in the movie Sideways, the Hitching Post II is an iconic restaurant in Buellton. The restaurant has a weathered feel and does not look like it has been updated since it opened in 1986. But Hitching Post II is packed every single night so plan ahead and make a reservation. Oak-grilled meats and Santa Maria Style BBQ are served alongside Hitching Post Winery house wines. 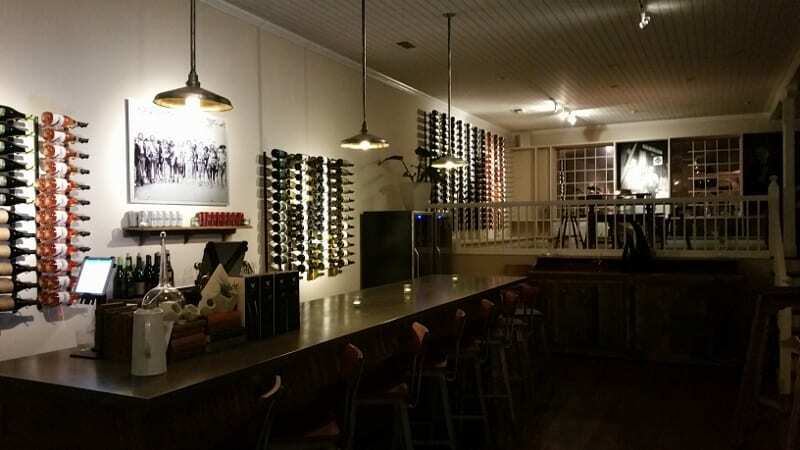 Los Olivos is the quintessential wine country town. Only a few blocks long and wide (shaped like a T), Los Olivos is home to numerous tasting rooms, charming shops, and restaurants. The Bear and Star, located inside the Fess Parker Wine Country Inn & Spa, offers refined ranch food in a warm and inviting space. The rugged elegance of the space will make you feel like you are in a friend’s living room. The menu pays homage to Fess Parker who was raised in Texas and then lived in California. 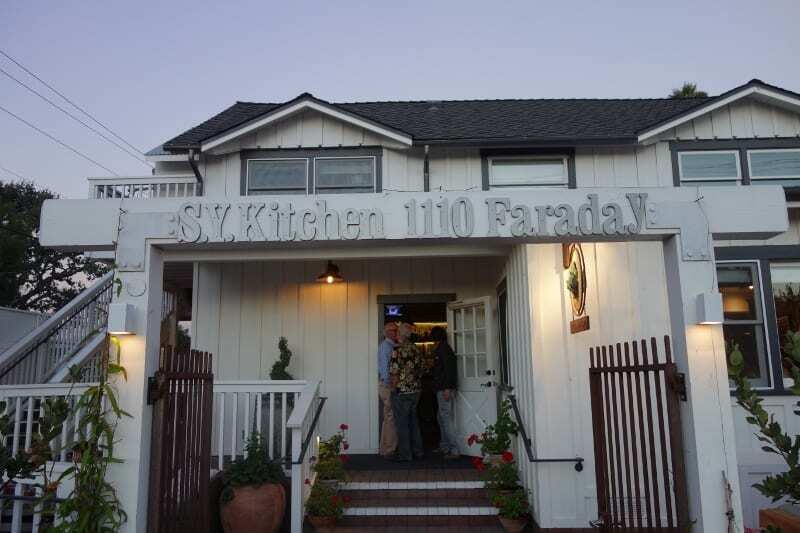 The ranch-style cuisine utilizes fresh, local seasonal California ingredients. In fact, most of the ingredients used in the restaurant come from the nearby 800-acre Fess Parker Home Ranch in Foxen Canyon where there is an organic vegetable garden, Wagyu cattle, chicken, rabbits, pigs, and bees. Whether you are staying at the Fess Parker Wine Country Inn & Spa or not, The Bear and Star is a dining destination must. The charming town of Santa Ynez, like Los Olivos, is only a couple blocks long. With horseshoe embedded sidewalks, Santa Ynez is a charming cowboy town with art galleries, restaurants, and other shops housed in buildings with false-front facades that make it look like the late 1800s. Located in an old farmhouse, SY Kitchen is a favorite spot for locals and tourists alike. On a warm evening, enjoy your dinner on the patio, or sit inside in one of the three small rooms. Chef Luca Crestanelli, who originally worked at SY Kitchen’s sister restaurant Toscana in Los Angeles, can be found in the open kitchen preparing delicious modern Northern Italian dishes and fresh pasta made with products from local farmers and food purveyors. The wine list features local wines, as well as Italian selections, but if you need a break from wine, do not miss the cocktails. This entry was posted in Food, Lifestyle and tagged Bob’s Well Bread Bakery, Buellton, California Winery Advisor, First & Oak, Hitching Post, Hitching Post II, Industrial Eats, Los Alamos, Los Olivos, PICO Restaurant, Santa Barbara Wine Country, Santa Ynez, Santa Ynez Valley, Solvang, SY Kitchen, The Bear and Star by Allison Levine.